Melanie Person began her early dance training in Jackson, Mississippi at age 6. Upon moving to Columbia, South Carolina a few years later, she continued her dance training at the Calvert-Brodie School of Dance while performing with the Columbia City Ballet. In the winter of 1976, by recommendation of her teacher Ann Brodie, Ms. Person auditioned for the Dance Theatre of Harlem (DTH) Summer Intensive and was offered a full scholarship. Upon completion of that summer program, she became an apprentice to the professional company and, in 1979, became a full member after graduating from Professional Children's School. For 12 years, Ms. Person performed with DTH, traveling around the world performing a diverse repertoire. She later went on to earn her B.A. from SUNY Empire State College. 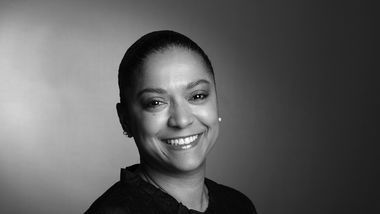 In 1999, Denise Jefferson invited her to join the PPAS ballet faculty at The Ailey School and in 2000 Ms. Jefferson appointed her as the Co-Director of the Junior Division alongside Tracy Inman. Shortly thereafter, Ms. Person was made Chair of the ballet department and President of the Emergency Fund for Student Dancers. Ms. Person has served as a judge for Seoul International Dance competition and Japan’s Grand Prix. In 2009, she was named Associate Director of The Ailey School and in 2010, Co-Director with Tracy Inman after Ms. Jefferson’s passing.